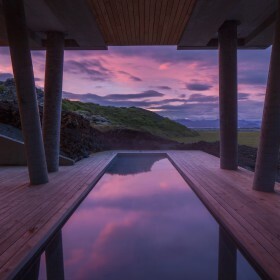 ION Luxury Adventure Hotel represents everything that Iceland stands for including purity, eco-friendly design, hot springs, landscape, volcano, lava, moss, local cuisine, music, architecture, art and unspoiled nature. 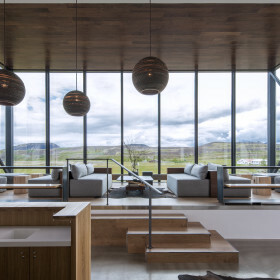 Inspired by it’s surroundings, Ion incorporates innovative materials, sustainable practices, and the natural features of Iceland into its design and philosophy. Ion is surrounded by hot springs, which provide geothermal hot water and energy to the hotel´s natural hot pool. The building exceeds environmentally safe building standards that merge with the lava and moss covered ground. Lava, and reused wood, Icelandic wool and other natural materials are used extensively in furniture throughout the hotel. The organic room amenities are made from Icelandic herbs. Everything from bed linen to the restaurant´s food is organic and fair trade purchase. Tables and chairs are built from recycled materials. Lights made of lava and found-wood. Sinks are made from recycled tires and hand made Icelandic wool sweaters are sold in the hotel´s gift store. 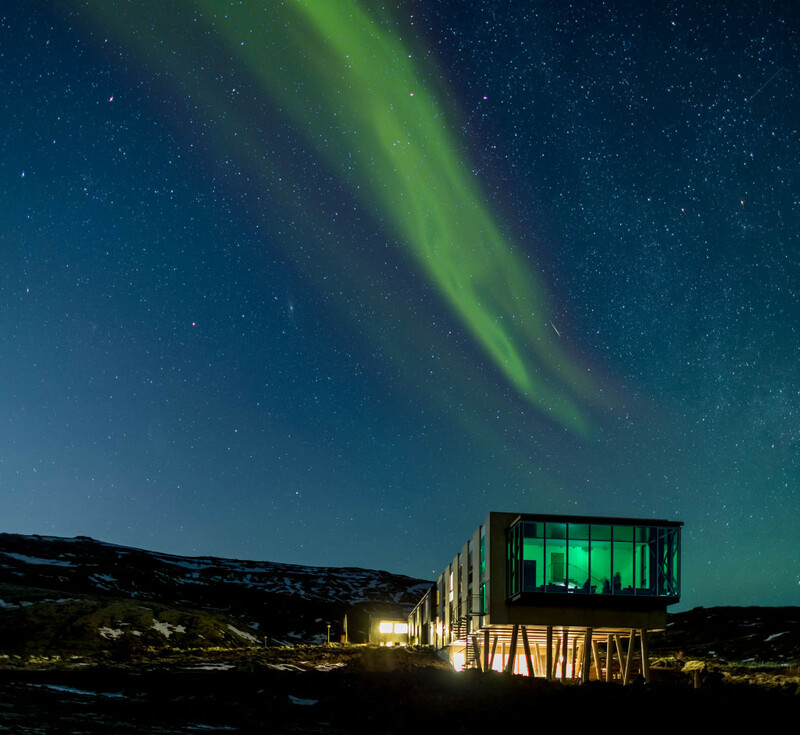 ION is located some 35km from the capital Reykjavik next to Iceland´s UNESCO listed national park Thingvellir. The hotel is surrounded by hot springs, fresh water lake, lava, moss and volcano. The motto for ION is “Where everything meets nothing” and this reflects the activity in the area where as the North American and Euro-Asian plateau drift apart. This power is reflected in the hotels choice of services and adventurous activities in the area. 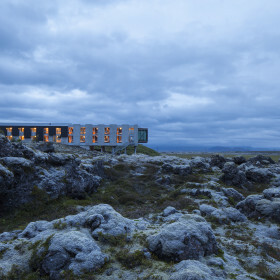 ION’s restaurant Silfra embodies the local flavor and spirit of Iceland. 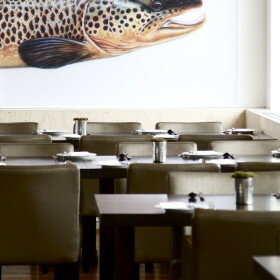 The menu focused on contemporary native fare with an emphasis put on sustainable, farm fresh ingredients. Silfra is proud to serve modern nordic cuisine with purity, freshness, simplicity and ethics as a guiding light to represent everything that this part of the world has to offer above other. incredible views. Each private bath is environmentally responsible with water saving shower systems. The beds are king-size, hypo allergenic and supremely comfortable. ION’s Lava Spa seamlessly connects its interior to the outdoors through a series of textural transitions designed to help guests peel away from urban stress. From the entry way, through naturally adorned treatment areas out onto the stone deck of a lovely 10 meter hot tub that continually flows like a river.